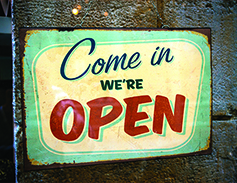 The Rozsa Center and Department of Visual and Performing Arts presents the first Rozsa Gallery B show of the 2016-17 Season: “Come In We’re Open,” an open house exhibition of the work of student scuptors’ work in progress, as a part of the “Project Learning Lab” alternative classroom project. The show opens on Tuesday (Nov. 1) and runs until Saturday, Nov. 5. There will be two public receptions from 5 to 6:30 p.m. Thursday, Nov. 3 and Friday, Nov. 4. These receptions are free and open to the public. Gallery hours are 8 a.m. to 8 p.m. Monday through Friday and 1 to 8 p.m. Saturday. Start with air raid sirens. Add WWII BBC broadcasts. 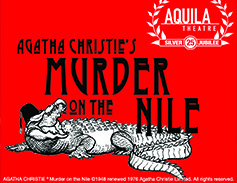 Sprinkle on morse code and British actors during the time of Nazi-occupied Europe and you’ve got the 25th Anniversary National Tour of the acclaimed off-broadway Aquila Theatre Company, who are bringing Agatha Christie’s “Murder on the Nile” to the Rozsa Center stage at 7:30 p.m. Thursday (Oct. 27). “Murder on the Nile,” by one of the greatest mystery writers in world literature, features a masterful whodunit and Aquila’s clever signature style. Aquila’s production is set in the early 1940s during World War II at the BBC Home Service studios in London. Air raid sirens were a regular occurrence in London during this time as Great Britain was on constant alert to bombings by Germany. Members of the theatre troupe have arrived and are preparing for a live radio broadcast of “Murder on the Nile,” but another air raid has prevented the full cast from assembling and yet, the show must go on—somehow. In Agatha Christie’s own staging of her famous novel, “Death on the Nile,” a paddle steamer is cruising the legendary Nile River in 1940’s Egypt. The passengers aboard are abuzz when the famous heiress, Kay Ridgeway, and her penniless new husband, Simon Mostyn board the ship. Class, money, and reputation are all at stake in one way or another for the passengers and before they know it deceit, theft and murder quickly make waves on the river. Spurned lover Jacqueline De Severac, protective uncle Canon Pennefather, a troubled German Doctor and a host of colorful and mysterious characters add to the drama and suspense of this classic Agatha Christie mystery. Who can be trusted? Who holds the truth? Who is a suspect? Whodunit? Aquila Theatre brings its innovative touch to this deliciously dangerous murder mystery, with brilliant direction, superb acting, thrilling physicality and stunning designs. Aquila’s “Murder on the Nile” will be a classic all over again. Tickets are $22 for adults, $10 for youth, no charge for Michigan Tech students with the Experience Tech Fee. Tickets are available by phone at 7-2073, online, in person at the SDC Central Ticket Office or at the Rozsa Box Office the evening of the performance. (Note: the Rozsa Box Office only opens two hours prior to performances). The Rozsa Center and Department of Visual and Performing Arts present a lecture by visiting artist Sarah Hewitt entitled “The Rise of the Feminine: She Vows ” at 5 p.m. Tuesday (Oct. 25) in the Rozsa Lower Level atrium. Hewitt’s exhibit, “Flats and Rounds,” is on display in the Rozsa A-Space Gallery through Nov. 18. Hewitt is creating a weaving installation “so not a goddess” on-site in the Rozsa Lobby now through Wednesday. This lecture, installation and gallery exhibition are free and open to the public. A-Space Gallery and Rozsa Lobby hours are 8 a.m. to 8 p.m. Monday through Friday and 1 p.m. to 8 p.m. Saturday. This lecture is presented as part of the VanEvera Distinguished Lecture Series. 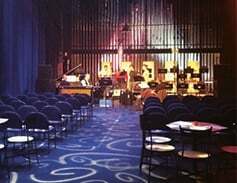 “Backstage at the Rozsa” again opens its doors to the groovin’ sounds of big band jazz to celebrate the 50th year of Jazz Studies at Michigan Tech. The Research & Development Big Band and the Jazz Lab Band will present a program featuring both the old and new—vintage and contemporary. A wide variety of tunes will be featured; Latin, mainstream, funk, ballads, rock and swing. The Rozsa stage becomes a pop-up jazz club, and the intimate club atmosphere is a perfect setting for the Research & Development (R&D) Big Band and the Jazz Lab Band to loosen the reins on creativity and capture the flow of jazz! Join Jazz Studies Program Director Mike Irish and the Michigan Tech Jazz ensembles for Jazz Showcase, “Backstage at the Rozsa” at 7:30 p.m. Friday and Saturday (Oct. 21-22). Tickets for “Backstage Jazz at the Rozsa” are on sale now, $13 for adults, $5 for youth and no charge for Michigan Tech students with the Experience Tech fee. Tickets are available by phone at 7-2073, online at Rozsa.mtu.edu, in person at the Central Ticketing Office or at the Rozsa Box Office the evening of the performance. Note the Rozsa Box Office only opens two hours prior to performances. Michigan Tech Theatre Company’s first production of the new academic year, “Silent Sky,” opens tomorrow at the McArdle Theatre in the Walker Arts and Humanities Center. 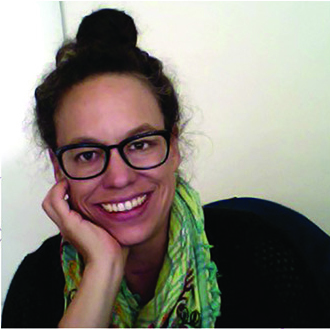 In “Silent Sky” playwright Lauren Gundeson tells the story of astronomer Henrietta Swan Leavitt. The play blends the discovery of how to measure the universe with the essence of the discoverer’s life story. Set against the turmoil of the cry for social justice at the beginning of the 20th century, the chronicle of Leavitt counterpoints the power of a passion for work with the desire for love and family. 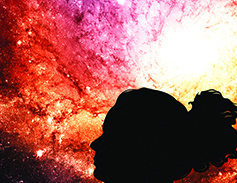 Join Tech Theatre for a play that contemplates the life, challenges and contributions to our understanding of the universe. Leavitt discovered the first way of measuring the universe, to demonstrate that heavens were larger than the Milky Way, the limit of creation in her day. “Silent Sky,” will be performed six times over two weeks, Thursday – Saturday, October 13 – 15 and again Oct. 20 – 22, in the McArdle Theatre. Performance time is 7:30 p.m. each night. Tickets are on sale now, $13 for adults, $5 for youth and no charge for Michigan Tech students with the Experience Tech fee. Tickets are available by phone at 7-2073, online at Rozsa.mtu.edu, in person at the Central Ticket Office in the Student Development Complex or the night of the event, one hour before show time, at the McArdle Theatre Box Office. The Michigan Tech Huskies Pep Band pre-celebrates 50 years of be-striped peppiness in its inimitable concert style at 7:30 p.m. Thursday (Oct.) in the Rozsa Center. Not yet experienced the sound and sight sensation that is the Huskies Pep Band? They are a true sensory extravaganza. The Huskies Pep Band is a Michigan Tech point of pride and one of the most lauded pep bands in the Midwest. 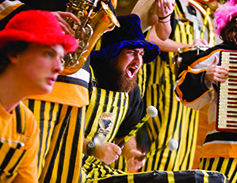 Members dressed in “bumble-bee” stripes perform at concerts, athletic events, parades and special events all around Houghton and support Michigan Tech teams on the road as well. The Huskies Pep Band is a nationally-known Division I pep band of nearly 250 members that performs at all home football, basketball and hockey games. The band was selected as the host band to the WCHA Final Five Tournament in 2006, 2007, 2008 and 2009. Tickets for Almost Golden at the Rozsa Center are on sale now, $13 for adults, $5 for youth, and no charge for Michigan Tech students with the Experience Tech fee. Tickets are available by phone at 7-2073, online at Rozsa.mtu.edu, in person at the Central Ticketing Office in the Student Development Complex. 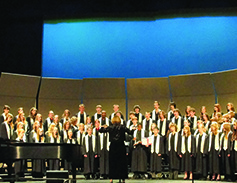 The Rozsa Center for the Performing Arts and the department of visual and performing arts (VPA) presents “Honors Choir Festival” at 7:30 p.m. Saturday, Oct. 8 in the Rozsa Center for the Performing Arts. The concert contemplates the forces of nature and weather in its many forms; springtime, a thunderstorm, a prairie fire and the Schoolchildren’s Blizzard of 1888. The Choirs of Michigan Tech and the Keweenaw Symphony Orchestra welcome singers from Northern Michigan University and upper peninsula high schools to perform Ēriks Ešenvalds’ “Whispers on the Prairie Wind,” under the direction of Jerry Blackstone, the Grammy Award winning director of choral activities at the University of Michigan. The KSO will also present Beethoven’s Symphony no.6 in F Major (Pastoral), conducted by Jared Anderson. 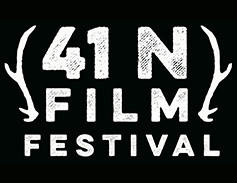 From a family’s unique intervention into the silent world of autism to six intrepid young entrepreneurs building startups in Detroit, the 41 North Film Festival offers human stories that engage, inform, inspire and uplift. Over the course of four days, the festival features more than 20 acclaimed films from around the world, as well as music, prizes and other special events. Detroit Free Press Executive Video Producer Brian Kaufman will be joined by Rolf Peterson (SFRES) and John Vucetich (SFRES) for a panel discussion following the screening of his film “Predator/Prey: The Fight for Isle Royale Wolves“. Among other feature films included this year are “All These Sleepless Nights,” (Marczak, 2016), “Operator” (Kibens, 2016), “Kedi” (Torun, 2016), “Do Not Resist” (Atkinson, 2016), “Death by Design” (Williams, 2016), “A Stray” (Syeed, 2016) and “Sonita” (Maghami, 2016), which won both the 2016 Sundance Audience and Grand Jury prizes for World Cinema Documentary. Now in its 12th year, the festival continues to be free and open to the public. Major Sponsors include the Humanities department, the Visual and Performing Arts department, the Rozsa Center for the Performing Arts, Student Affairs and Advancement, Pavlis Honors College, the Visiting Women & Minority Lecturer/Scholar Series and the Parents Fund of the Michigan Tech Fund. Learn more about the films, events, sponsors and how to reserve your ticketonline. For more information email 41north@mtu.edu.